In a time when humanity lives among the stars and planets of distant universes and battles are fought using giant machines called BattleMechs, a war unlike any before is about to begin. Divided by hundreds of years of strife, the Successor States have been in constant conflict among themselves, but a new enemy has arrived that will challenge everything they know about warfare. The Clans strike with deadly force, throwing the separate nations into total turmoil. With their almost inhuman physical capabilities, unparalleled technology, nearly indestructible machines, and relentless love for battle, the Clans threaten to destroy anything that stands between them and victory. Now, the Successor States must either find a way to work through their political differences or face complete annihilation. The future of humanity may very well rest on the shoulders of a few special soldiers who must not only battle to save their homes, but also fight to prove themselves as capable MechWarriors. 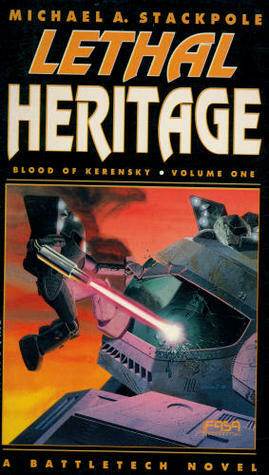 Lethal Heritage is a rough and tough story set primarily in the years 3049 and 3050, a time when humanity resides on distant planets and moves between them using large JumpShips capable of space travel. There is no mention of Earth and, as such, the reader is never quite certain if the book follows our real-world timeline or creates a new one. This is a great perk for readers who enjoy complete removal from realism, even though there are definitely some technological elements that will be familiar. While it starts off slow at first, taking time to carefully introduce each of the many characters responding to the deadly space invasion, the pace picks up about one-third of the way through and remains consistent from there. For the most part, the characters are alluring, especially newly graduated Victor Davion, heir to the Federation Commonwealth, and Kia Allard, a brilliant, yet self-conscious, strategist and pilot. Kell Hound mercenary Phelan Kell, however, definitely warrants the most attention, as his internal monologue provides great entertainment and his experiences shed light into the inner workings of the Clan. The weakest storyline follows Tai-i Shin Yodama, a member of the Draconis Combine, but the information provided from his perspective does ultimately add to the overall plot. Each character possesses his or her own strengths and weaknesses and the variety provides a little something for every reader. Stackpole’s writing style is solid, demonstrating a consistent voice while also integrating elements geared to match each of the individual characters. There are a few sections that seem “staged,” but the flow of thought and dialogue is relatively natural for the majority of the novel. The content can sometimes seem dense, but that is due in large part to the fact that there is a significant amount of information to process through. For example, keeping track of the varying leadership factions and less-essential characters can be difficult. On the flip side, the book is certainly not lacking in depth and any reader should be satisfied with its thoroughness of detail. Stackpole is also successful in keeping the techno-speak believably complex, but still accessible to the general reader. Overall, Lethal Heritage may take some time to work through, but it is a definite must-read for science fiction fans – especially those who enjoy giant robots! 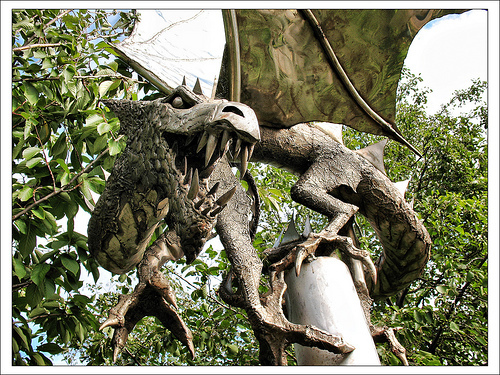 For this installment, and in honor of one of the most fascinating creatures in fantasy literature, I will be adding a few books that all have one major thing in common – dragons! These brilliant beasts have been used as popular devices in stories for hundreds of years. One of the earliest literary dragons is seen in Beowulf, an epic poem that may have been composed as early as 700AC. They are powerful creatures, often full of wit and magic, and can pose as a significant threat when angered. Dragon myths are common, with ancient civilizations and tribes from all over the world talking, singing, and writing about these intelligent creatures. Readers, almost universally, have fallen in love with dragons and I am no exception. Some of the books I enjoy reading most include dragons, so it is not surprising that many will appear here in my personal collection. There will be more to follow, but we will get the ball rolling with a few of my very favorite! Velde, V. V. (2003). Dragon’s Bait. Orlando, FL: Magic Carpet Books. There is not another book published that I have read more times than Dragon’s Bait. In honesty, I cannot remember where I got this book, but it has been a part of my master collection since I first began reading. Dragon’s Bait was one of the first, it not the very first, books I ever read and enjoyed by myself. 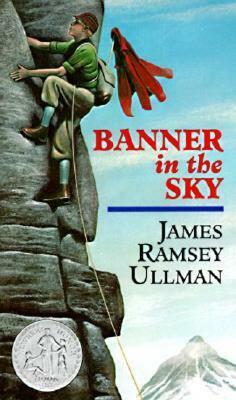 It also introduced me to the wonders of young adult fantasy writing. Wrede, P. C. (1990). Dealing with dragons. San Diego, CA: Harcourt Brace & Company. Dealing with Dragons was a Battle of the Books required reading, an afterschool activity my mother encouraged me to participate in during my middle-school years. I actually own the three subsequent novels as well. This book, like the others, is important because it is part of the transitional period I went through during which I finally started to read books for enjoyment. Tolkien, J. R. (1965). The hobbit. New York, NY: Ballantine Books. 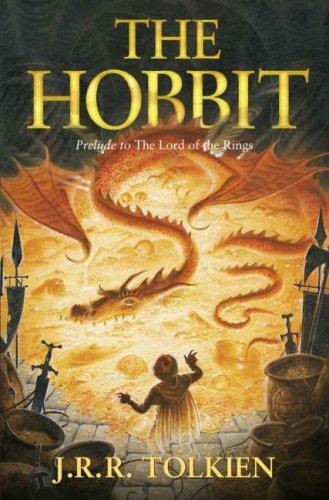 J. R. Tolkien’s The Hobbit was the most complicated book I had attempted to read when I was in eighth grade. 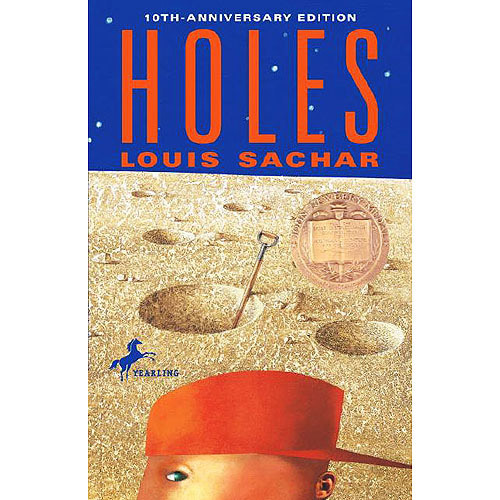 While not strictly a “young adult” novel, it certainly helped to broaden the scope of my reading world and helped me to realize that I was capable of reading more complex literature. If you have not done so already, make sure you check out my recent review of Dragon’s Bait! The review was my most recent blog post prior to this one. You will also be able to find it, and all future book reviews, by visiting my Book Reviews Page! 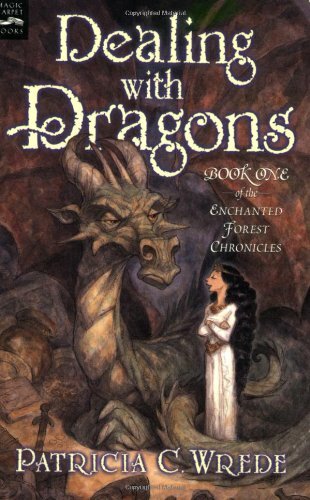 What are your favorite books containing dragons? Tell us about your favorite literary dragons, the traits / characteristics they possess, and what you love most about them! For sixteen-year-old Alys, witches, dragons, and lost souls are things far away from the small town she grew up in. Saint Toby’s was always her home and the people within it, while some more questionable than others, were all she had ever known. That is, until the day she was wrongfully accused of being a witch and offered up as a sacrifice to a dragon. Ultimately betrayed and condemned to die by those she once called friends, reeling from the loss of her only remaining family, and with nowhere else to go, Alys gives up. Coming face-to-face with the source of her impending demise, however, doesn’t work out exactly as she expected. Instead, Alys finds a most dangerous ally and sets out on a journey to exact her revenge. Charmingly frustrating, shape-shifting dragons are the least of her problems, though, as Alys slowly realizes that vengeance isn’t everything she thought it would be. In fact, her single-minded determination to destroy the lives of those who ruined hers may very well cause Alys to lose the one thing she has left. Dragon’s Bait is a delightful little story about loss, revenge, and love. While the book doesn’t overpower the reader with any one of these elements in particular, it eludes to each lightly at varying states. This functions as both a benefit and a limitation. While the book is enjoyable, easy to read, and short, it does lack a certain level of depth. Alys is presented as a somewhat one-dimensional character and her actions are usually predictable. Her role is unique, however, as she spends the majority of the book seeking vengeance and plotting bad things against those who wronged her. This deviates from many other young adult fiction protagonists who run from issues until the climax of the book when he/she can no longer avoid them. Instead of waiting for action to find her, Alys propels the story forward, her choices setting the foundation for what happens next at every turn. Her accomplice, the dashing “young” dragon, Selendrile, provides the reader with more intrigue, as details about his life and existence are explored only to the extent that Alys discovers them, which isn’t much. His character remains a curiosity, but his existence pulls at the heart-strings. While the faint presence of potential romance between the two is endearing and sweet, it is arguably too subtle – the readers almost have to be looking for it. 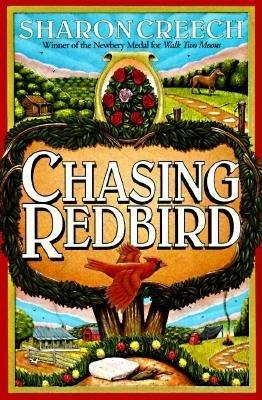 Vivian Vande Velde’s writing style is simple, but she delivers a solid story that definitely meets the needs of her targeted upper-elementary to middle school age group. Versed fantasy readers will likely find this quick read pleasant, but may not be completely satisfied when it comes to the details. 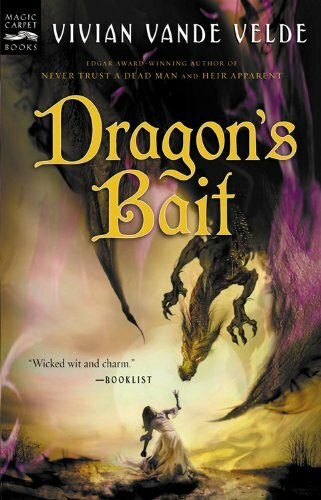 Overall, however, Dragon’s Bait is enjoyable, serves as a wonderful introduction to young adult literature, and is very well-suited for younger audiences. 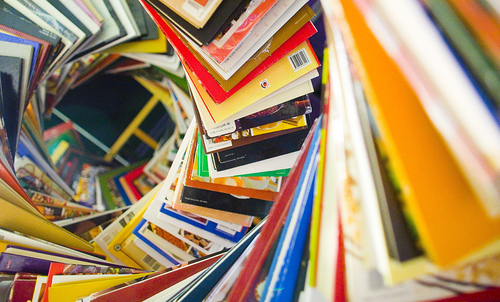 One of the primary goals of this blog is to introduce new books to readers. Another goal is to encourage reading among those who haven’t enjoyed it previously. One of the ways I hope to accomplish these two goals is by providing an ongoing list of books I own and have read. Every few posts, I will provide information about a book (or two) from my personal collection. These posts will be brief and are not intended to function as reviews, per say, but will rather be a quick snippet of what the book means to me and why I chose to add it to my personal library. As I blog about these books, I will also add them to My Book Collection page, so that they are easily accessible for reference when looking for a good book to try out. Many of my first books are physical representations of my transition from a struggling student to a successful young scholar. The words on their pages not only tell interesting stories, but represent the long and difficult journey to my success. Each has been impactful and furthered the development of my passion for literature. I will forever be adding new books to this collection and, while many of my early books are young adult fiction and fantasy, titles and genres will vary drastically as more are added. For this post, I am going to start at the very beginning of my collection. Rowling, J. K. (1989). Harry Potter and the sorcerer’s stone. New York, NY: Scholastic Press. As explained in my first post, Harry Potter and the Sorcerer’s Stone was the first book I ever enjoyed and, as a result, is officially the beginning of my book collection. My mother forced me to listen to her read it in its entirety and her persistence (in addition to J. K. Rowling’s brilliance) formally ended my opposition to reading, opened my eyes to the joys of reading, and made me into a successful student. Rowling, J. K. (1999). Harry Potter and the chamber of secrets. New York, NY: Scholastic Press. Harry Potter and the Chamber of Secrets was the second book to be included in my collection. After my mother caught my attention with Harry Potter and the Sorcerer’s Stone, she began encouraging me to improve my ability to read aloud with her. She and I took turns reading each chapter until we finished the book together. Rowling, J. K. (1999). Harry Potter and the prisoner of azkaban. New York, NY: Scholastic Press. The third Harry Potter book symbolized yet another vitally important step in my reading career, as it was the first book that I read completely aloud to another person. My mother has said that it was sometimes almost painful to see me struggle through each chapter, but that she had never been more proud when I finished it. This is also my favorite book within the series – I LOVE Sirius Black. Rowling, J. K. (2000). Harry Potter and the goblet of fire. New York, NY: Scholastic Press. Harry Potter and the Goblet of Fire earned its place because it was the first book I ever read completely by myself. From that moment on, I was hooked on reading and I have been collecting books ever since. This is probably my second favorite from the series, as I really enjoyed the trials and seeing how each could be overcome. What books do you have in your personal library? Better yet, what was the very first book (or books) that started your collection? Please also feel free to comment on your experiences while reading these Harry Potter books! My name is Amanda and welcome to Bangin’ Book Breakdown! This first post is intended to give you a little insight into who I am and why I have created this blog. If you have already read my About page, this will be redundant, but it’s important that I set the stage appropriately. At a young age, I was diagnosed with multiple learning disabilities in reading, writing, and spelling. Even the simplest language tasks were difficult for me and I struggled greatly through my elementary and middle school years. What was an easy task for others was often a time consuming and abysmal ordeal for me. I spent hours studying spelling flashcards but I continued to do poorly on tests. I dreaded being called on to read aloud in class and struggled through every assignment. Gradually, I began to detest school and used any excuse I could to weasel out of attending. I became disheartened and steadily descended into a phase of self-loathing as my grades continued to drop. Eventually, I started to believe the persistent whispers of my peers – I was unintelligent and there was no hope for improvement. I would love to say that this suddenly changed and that I miraculously overcame my disabilities in an instant. I wish I could honestly state that I don’t still, to this day, struggle to understand some information and misspell more words than I write correctly. As everyone knows, change takes time and effort. While I have certainly developed into a successful student who loves to read, this transition didn’t take place overnight and it was not, by any means, a simple process. Further, I would never have been able to complete this transformation without significant help and it is, without a doubt, due to the unrelenting support of my mother that I have come this far. My aunt sent me a copy of Harry Potter and the Sorcerer’s Stone when I was in sixth grade and told me that it was so phenomenal that people all over the world were reading it. Unconvinced and unimpressed, I refused to even consider picking it up and, in spite of my mother’s desperate attempts, it remained untouched for nearly a year. My mother decided to read it herself and, not surprisingly, she loved it. After several more weeks of pleading, she finally demanded that I let her read the first chapter aloud. I know it may seem extreme but, truthfully, that evening changed my life forever. I pretended, of course, that the story wasn’t interesting and that I didn’t want to continue reading it but, in truth, I was hooked. She read to me every night until we finished and I still treasure the time we spent together discussing the book. Soon after, we began Harry Potter and the Chamber of Secrets, but this time we alternated who read each chapter. It was difficult for me, but my mother helped me work through the words I didn’t know and I enjoyed reading aloud for the first time in my life. Next was Harry Potter and the Prisoner of Azkaban. This time, she asked me to read the entire book aloud to her. We stayed up for hours as I slowly, but steadily, progressed through the 435 pages, becoming more confident in my abilities with every sitting. Finally, after purchasing Harry Potter and the Goblet of Fire, I began reading my first book by myself and finished it within days. This commemorates the beginning of my reading journey. I never again second-guessed a book my mother recommended and, after only a few short years, it was nearly impossible to catch me without a book in my hands. When I say that the Harry Potter series changed my life, I mean it. There is no telling where I might be today if my mother hadn’t forced Harry Potter and the Sorcerer’s Stone upon me. I am fairly certain, however, that it wouldn’t be here writing a blog about books! I have created this blog to appeal to two groups. The first group I hope my writing, reviews, and recommendations appeal to are passionate readers like myself. These people are keen on snuggling up with a good book on a Friday night and may even feel out of place without a novel in hand. They use literature to explore the mind, spark the imagination, develop an identity, and find comfort in the world. For them, I hope to provide insights into books already read and encourage finding a few new ones to add to their collections. The second group is much less likely to stumble upon my ramblings, but I sincerely hope that they do. This group is comprised of non-readers, some who detest literature as much as I did when I was a child. They have thought, and in some cases even been told, their entire lives that books are not for them. Like my mother did for me, I want to do for others. For these people, both young and old, I want to assist in breaking down the “reading just isn’t for me” mentality by providing a safe space to discover, explore, and question the world of literature without judgment or ridicule. I hope to introduce exciting books from a variety of genres and seek to help foster a love for reading that can literally change a life. It doesn’t matter if you are a non-reader, a new reader, or an avid reader. We are all the same here – explorers. Some may be looking for their next all-nighter-novel, while others may just be realizing that books can actually be “cool.” Regardless of which category you fall into, I hope my writing assists you in finding what you are looking for. And so, this concludes my first blog post. Please send any thoughts or suggestions and stay tuned for the many book recommendations, musings, and reviews to come!